The only way I could hope to go to Micronesia without Sasha was to promise her an even bigger trip right after. We have been lucky the last few years because flights from Vancouver to Asia have been ridiculously cheap. If you are ready and waiting for them there have been flights all over the place for less than a flight to Toronto. It's no wonder I still haven't visited the rest of Canada. Knowing this was the case and with it being Sasha's first trip to Asia, my strategy was simple. Book another 5 weeks off work (Jan/Feb 2017) and wait for a cheap flight to come up. It didn't matter to me where we started because regional flights can also be very cheap on airlines like Air Asia and there is so much to see and do wherever you go. If you give me this much room to play with, I can come up with some pretty crazy ideas... So another deal came up and again we were flying to Manila, this time via a long stopover in Shanghai. Then I waited some more. In my experience the best flight sales and deals around Asia happen about 2-3 months before you want to go so in that window of time I started booking one way flights around to tie in an exciting route. But we'll get to that. An important thing to remember when booking a bunch of separate flights is to always give yourself lots of wiggle room because you are on your own if you get delayed and miss one. I always give myself lots of layover space (good if you want to visit a city for a day anyway) and this happened to us when our flight time from Vancouver to Shanghai was changed to a full day later. China has become really good for stopovers as almost all the major international flight hub cities allow visa-free stopovers of 72 hours (or more in the case of Shanghai), provided you have your onward ticket already. 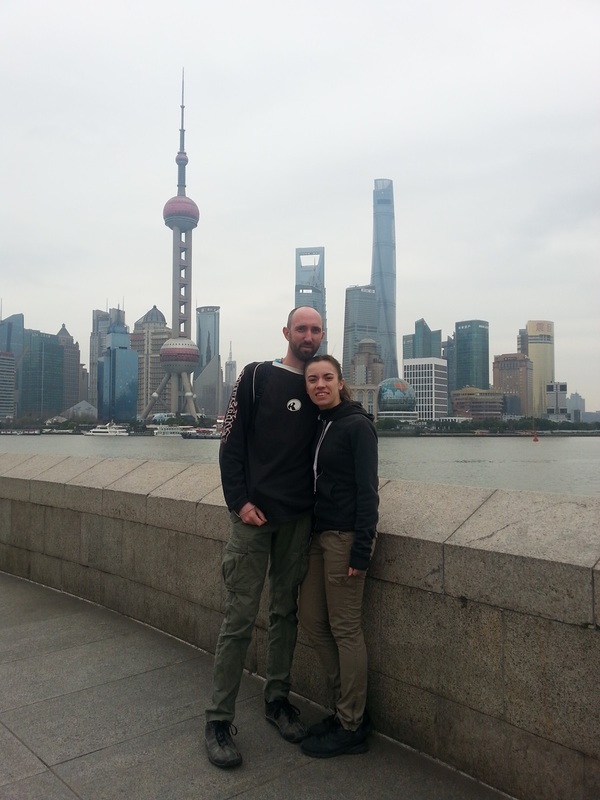 We arrived in Shanghai in the morning with a 16-hour layover to kill so jumped on the metro to head into town. Although the train was empty when we first got on, it got progressively busier until we were completely squished and having to push back with all our strength to keep from getting crushed against the walls and bars. Being out on the streets at times didn't feel a whole lot better. There are a lot of people over there. 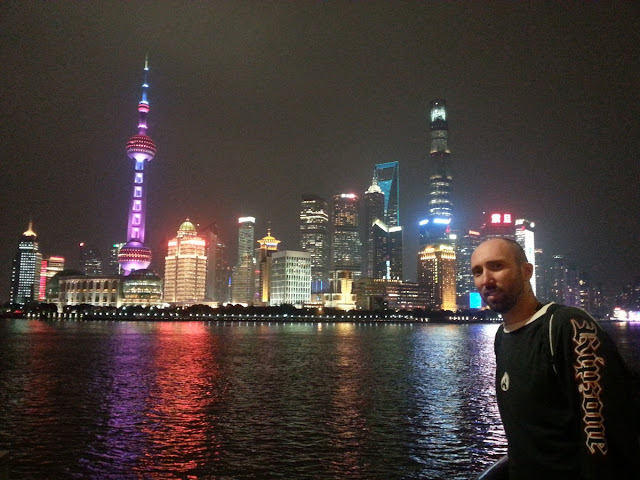 It being over 10 years since I was last in China I couldn't be sure if it was just Shanghai that felt so new and modern or if China itself is advancing so rapidly but I suspect Shanghai is leading the way. We wandered around the modern centre and along the waterfront (the Bund) for its most famous views. One side of the river is ultra-modern looking and impressively lit up at night. The other side is still lined with the old colonial trade buildings set up by the Europeans in the mid 19th century. It makes for an interesting mix. Francis met up with us a couple times during our couple day stay, but for the most part I was playing tour guide wandering down memory lane though downtown Singapore, the botanical gardens and other historical neighbourhoods. It is still as clean, safe and organized as ever, and the food is excellent. From Singapore we caught a bus across the border (a very busy and slow crossing these days) and then directly to the Kuala Lumpur airport where we stayed overnight before catching a flight the next morning to Mauritius.